Amazon Prime Video finally launched in India with a very cheap monthly subscription for online streaming of Movies and TV. 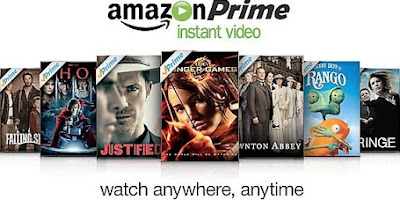 Amazon Prime Video Service is an ad-free and video-on-demand online streaming service like Netflix with an annual subscription of Rs 499. Amazon Prime Video is finally launched in India, almost a year after Netflix launched its streaming service in the region which offers you to stream movies, TV content, and documentaries in the India. For those who have not registered last year, the time seems to be worth waiting: the unlimited and ad-free Amazon Prime video service is here with a yearly subscription of Rs 499, which means Rs 41.50 per month versus the Netflix price Rs 500 for a month. In addition, those who have already received an Amazon Prime subscription now can get video streaming service without any additional costs. Since September, Amazon prime video was tying with filmmakers and film studios for the content of Amazon Prime Video that is Bollywood films and a category of popular content in India. It has the best catalog of Bollywood Movies and Hollywood Movies of 2016, including Sultan, Rajnikanth's Tamil film Kabali and Hollywood movies like Batman vs Superman, Dawn of Justice and other top Hollywood movies. Their international shows include Mr. Robots, the Night Manager, Lethal weapon, the good wife, and two and a half men. In addition, the e-commerce company headquartered in Seattle announced that it has begun the production of the new original series Amazon with Ram Madhwani, Prasoon Joshi and the group of comedies All India Bakchod (AIB), among others. "India has been one of the richest entertainment industry and the fastest growing in the world - Amazon is driven by the talent and passion of the Indian film industry, and is eager to add content of several Indian original shows and more to its prime video service," said Roy Price, vice president and director of Amazon Studios. "It is no secret that Amazon is making a tremendous investment in India and is happy to take the original content of Indian talent created for the public around the world. We also have a commitment to provide high-quality content to our Indian customers. In late July, Amazon launched India's global Prime Membership program provides one-day and two-day delivery to thousands of products for a fixed Rs 499 per year initially. "We are excited to present Prime Video in India with the largest selection of Indian exclusive and ad-free Bollywood and Hollywood movies and American TV shows and best award winning original Amazon series. Amazon Prime Video is a fantastic service for anyone who loves cinema and TV, And we are just beginning", said Nitesh Kripalani, Director and Country Head, India Amazon Video. "Key members can enjoy the reliable playback and high quality of some of the best available programs and movies, including the new Amazon original series with stars and filmmakers from India over the next year. The superior benefit for the prime members of Amazon is not just unlimited one-day and two-day delivery in the largest selection of Indian products but they can now enjoy Amazon prime video for free. " In addition to Netflix, India online streaming platforms are Hooq (Rs 199 per month), which is popular with movie fans and Ogle (Rs 249 per month). The market leader in the emerging video streaming in India is clearly HotStar, the digital platform of Star India. According to the online aggregator app Annie, HotStar recorded 7,886,000 minutes of online video streaming in November against 633 million minutes of Netflix in India. "As a leading company in a category, we have created and encouraged the past two years, we followed Ravi's interest in India which followed the introduction of HotStar." As Netflix, Amazon is a great company with a large family tree. He added that consumers can choose the streaming platforms with the best content and the best video experience. "And in both, we plan to do everything the leader has done to us." Netflix has not had much influence in India last year. Its great success so far was the announcement of its first original series in the country, Sacred Games of the novelist Vikram Chandra. The company has partnered with Phantom Films, a film studio founded by Anurag Kashyap, Madhu Mantena, Vikramaditya Motwane and Vikas Bahl to produce the series.